I’m still on about this topic having attended a memorial service (void of any religious connotation or indeed coffin — I am a Cohen). 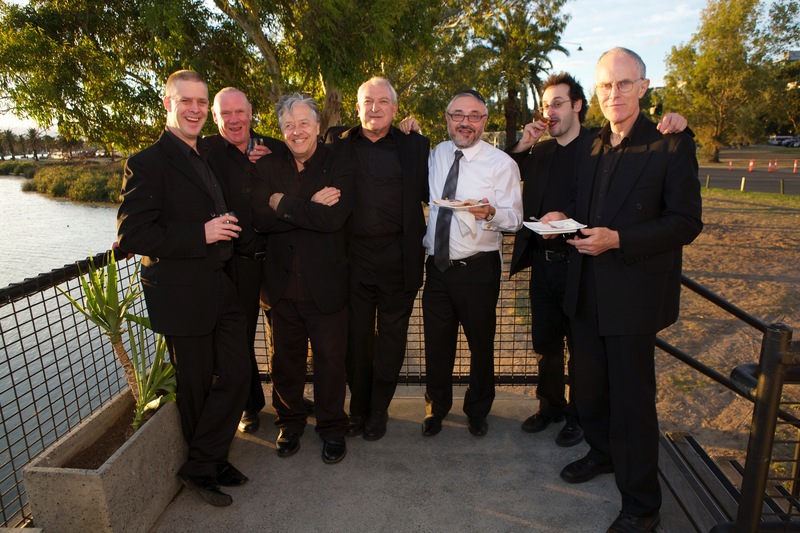 It was a moving affair with a “who’s who” of music in Melbourne in attendance. I hadn’t seen many of the musicians in a while and some of them seemed to have aged less gracefully than others. It did occur to me that they were likely thinking the same about me. I met Wilbur Wilde who graciously introduced himself to me and seemed to know all about the band. Schnapps’ tenor saxophone player, William Leonard Horowitz, presented a musical history of Peter’s life, peppered with amusing anecdotes. 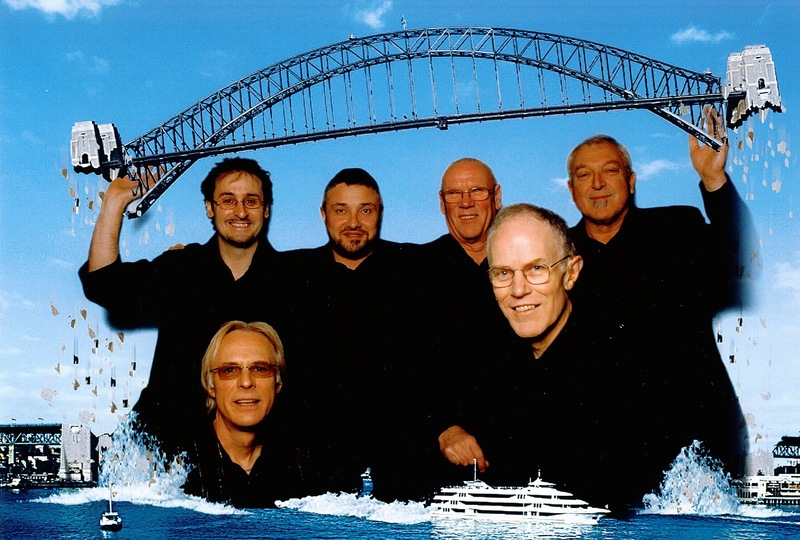 Peter had performed on literally just about every live Channel Nine program, going way back to the Bert Newton show and much more. He’d played on well-known Australian movies all the way down to the “Pot of Luck” live talent show (and yes, Young Talent Time too). My career with the Schnapps band began some 35 years ago. I didn’t run the band then but was brought in as the singer when the wedding was Frum. In those days the lineup and style was different. Norman Czarny ז׳ל was the accordionist and his particular sound was distinct. When Schnapps back then began to wind up, I took over the band and remodelled it, bringing in a more regular line up. Whilst Norman could read music, Schnapps in the old days used to ‘know the songs’ and play from memory. I didn’t have that luxury and needed to find musicians that were both excellent readers, and able to adapt to the genre. I encouraged re-interpretation, spontaneity and soloing. Alas, whilst I wasn’t a good fiddle player, I was blessed with a good ear and could not tolerate a musician unless they were absolutely top shelf. My trumpet player suggested that the best person to anchor the band on keyboards was Peter McCutcheon. Peter was known visually and personally to those who watched the well-regarded Hey Hey it’s Saturday live show and especially its Red Faces segment. 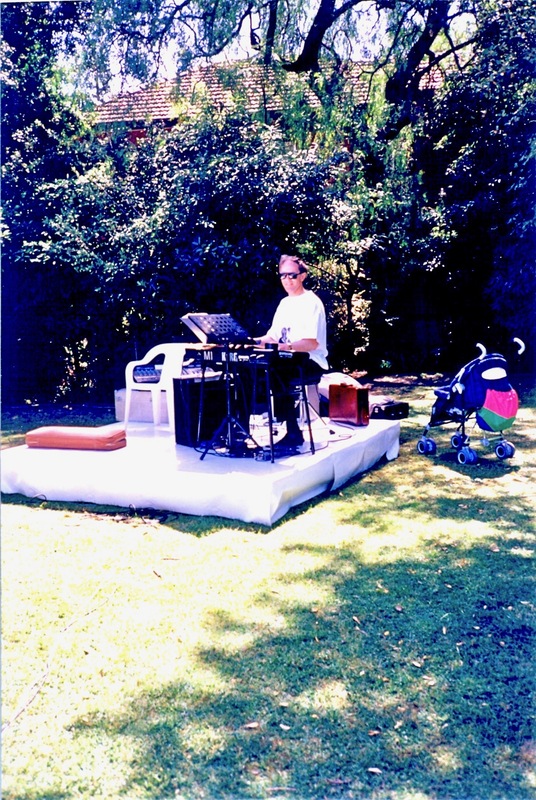 I spent lots of time preparing for my first transition Gig, trying to better organise the existing repertoire. I recalled how Schnapps would sometimes struggle to find the right tune amongst a heap of one or two page scores. After coming up with my system, the stage was set. I was nervous and although I don’t remember the reason, I felt I needed to call Peter before the gig. So, one morning, about 10am I called Peter’s house. The phone call was some 5 minutes duration. At first Peter seemed stilted, but I attributed this to musicians tending to be late risers. Some years later (perhaps 8 years), when Peter was ensconced as the pianist and Schnapps was getting regular work, he casually mentioned to me at a Wedding we were doing, that I had called him on Xmas morning! Of course, for me it was just the next day, and I wasn’t duly sensitised to consider not ringing on that morning! He noted, gently and using his dry wit, that it was a bit of a strange encounter for him. He was such a giant of spirit though, that he was sensitised (despite not having yet done a gig) to realise that I practiced another religion and was simply clueless as opposed to bulldozing through sensitivities. Suffice it to say that I was mortified when he brought this to my attention years later. With a smile on his face, those band members within ear shot had a healthy chuckle. By now, Peter knew my character and was sure that I had not intended anything. Peter was like a musical computer. Some musicians are jazz oriented; others are Rock oriented, and others are great classical pianists who have marvellous reading skills. I used to marvel at the interpretation of songs that Peter would create. He mentioned that he always intended to have a most diverse musical experience, and as I recall he had worked in a Bavarian restaurant for a several years. As I settled into my role as band leader and singer, I allowed myself to bring, through my voice and fiddle, my own overlays onto songs. I used to stress to the band members that though many of the tunes we played were rather simple, and had simple Concert Melody/Chord charts, I wanted them to “let go” and wander through the tapestry of the progressions. Peter was a great reader of music. I was most jealous. He was literally like a computer. Sometimes a ‘must play’ song materialised in the middle of a wedding. The band members were gentiles, except for me. They didn’t know the song. I turned to Peter to write the song out. Little did I realise that as I sang the tune into his ear, while he was perched over his keyboard with a pencil and blank score, he would translate my voice into a perfectly formed chart. On the odd occasion where he would need to rub something out, that was mostly due to me not intonating properly or not remembering the song routine well enough. His skill in this regard, in real-time, was mind-blowing. Other musicians would sometimes watch on from the side, and when I shook my head in amazement, they would shake theirs as well, mumbling “he’s a monster”. Musicians are a strange lot. They range from the bohemic to the fastidiously rigid. They mostly wear their hearts on their sleeves, and are notorious for being “too precious” over what I thought were the most trivial of matters. Sure, it’s a right royal pain to come to a venue with your heavy gear, only to be told by some over officious attendant that you had to park your car further away and could not park near the loading bay. I got used to frustrated musicians, with furrowed brows mumbling inanities and hurling invective because of a logistic problem. It was in my interest to calm the musicians down. A happy musician is a well-performing musician. Incredibly, irrespective of what the logistic or other issue was which may have interfered with a smooth set up on stage, Peter never showed the slightest inkling that he was annoyed, let alone affected. In early days one took this for granted. After a while, it was plain that his great nature as a human being meant that he rose above these impediments. He appreciated that the band leader had much stress at this time and was professional enough not to add to that pressure. The most I ever heard from him was after a few decades. One venue was notoriously difficult. They seemed to delight in placing more and more ridiculous impediments in front of professional musicians. I was fed up myself. One day, Peter mentioned that he could not play at that venue unless his gear was delivered earlier on stage. In fact all musicians felt this way, only Peter was one of the last to say so, and he never did this bombastically. Especially in the early days, there were some venues/caterers whose food may have been kosher, but the kitchen therein wouldn’t have survived a health and safety audit. One Sunday we had a midday gig. The Saxophone player had already crossed words with the caterer (who was notorious). The caterer had made the musician feel like a little boy and was ordering him around. 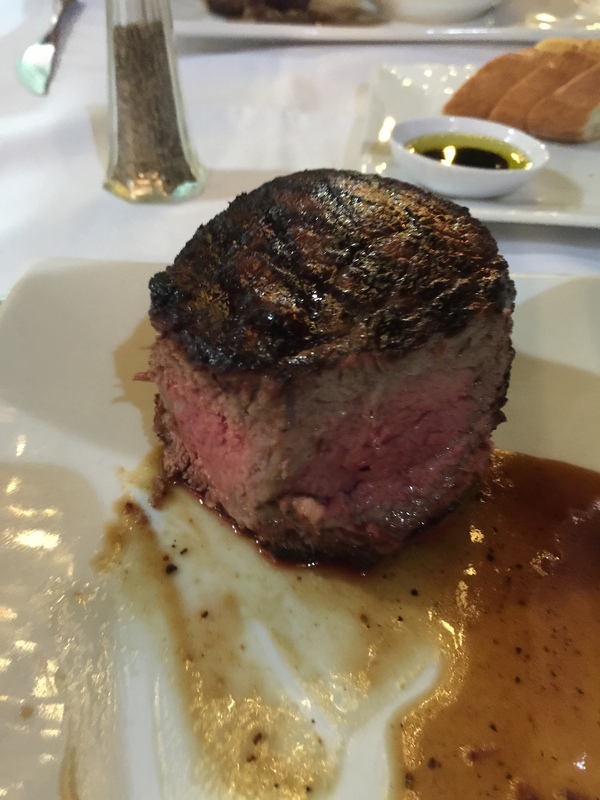 When the food arrived, and it was always 2 minutes before we were due to go back on stage, it was an experience in crazed ׳wolfing׳ down the already frazzled foodstuff on the plate. After the first course, some of the band members were feeling ill. By the time the main course had been consumed, the singer for the secular music was running from the stage to the toilets and back. The rest of the band had stories to tell about ‘the day after’. I vividly recall sitting down at the next gig with the musicians relating how their stomachs had been abused. Only one musician, Peter, had no problems. We called him ‘garbage guts’. He could eat anything. Indeed, he would go back for seconds of a dessert buffet with a plate that initiated engorgement by just looking! Chuppas are a focus for musicians. We don’t have many instruments. It is usually very quiet and any mistake is certainly noticed (by those blessed with a degree of musical ear). We have certainly done our fair share of these, ranging from the grandiose Chuppa where we did have 5 Musicians or more serenading each separate entry, through to the more usual variety where it was just Peter on Keyboard and me on Violin (and sometimes Voice). Sometimes there is a special request for an obtuse or not well-known tune as the Kallah circumnavigates the Chosson, or similar. I recall one event in a swish hotel with all the guests decked out in their evening wear. Peter arrived and we had zero time to look at the score. It was, as I recall some 4 pages long and had changes in tempo with brief 1 or 2 bar interludes to boot. I always relied on Peter to cover my less than wonderful Violin playing, and on this occasion, I didn’t know the tune off-hand and so I was reading as well. I had an advantage in that I knew the feel and the changes. To say I was nervous was an understatement, even if I had imbibed a couple of quick schnapps beforehand. As usual Peter was perfection personified. Every nuanced change, be it from me leading in a little early on my violin, or motioning with my head or indeed using other gesticulatory cues were picked up while at the same time Peter’s left and right hands glided across the keyboard. “Uncle Ayley” as my band called it. The ending was something that just came to be and was our unique blend. One evening, my voice was in fine form and we must have gone up a half a tone at least six times. Peter just smiled as I indicated “up” yet again, and accompanied me with his usual aplomb. How many times did the great Schnapps band accompany visiting world stars, including Avraham Fried, the Chevrah and many more. We don’t forget the functions where there was also a youth choir. On the latter, Peter wrote some beautiful charts. I remember (at my suggestion) he converted the legendary Pirchei song, “Eleycho” into 6th Chords and the Asian feel was just magnificent (I’m sure some ears thought it was “wrong” though). Chanuka in the Park. It was rarely easy to get into the venue, let alone get out. I just remember when we had to support Lipa Schmeltzer one time and the late Piamenta flautist. Let’s just say the charts were “challenging”. Peter never complained. He was the consummate professional. I retorted that he should be positive (cheap words from me) and allow the new treatment to perform a miracle. Peter knew what was coming. I did have an opportunity 2 or 3 days before he passed away, a few short weeks after, but decided that I didn’t want to see him struggling for air, in and out of drug induced sleep. Peter was not a religious man, but gave enormous respect to those who were sincerely religious. 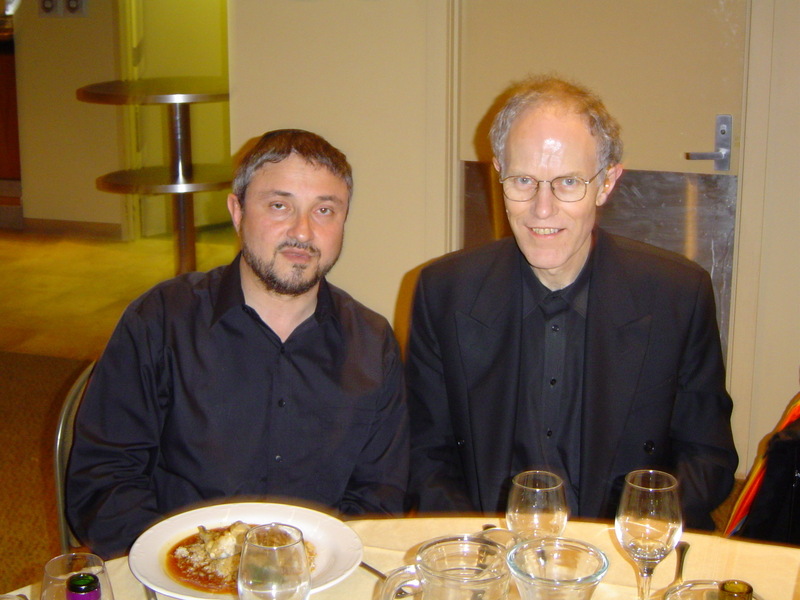 Melbourne has lost one of its finest musical figures and I have lost a wonderful friend and colleague. The Hey Hey it’s Saturday team, led by Daryl Somers, produced a nice facebook post about Peter, and published a video tribute which can be seen here. PS. I will let you in on a secret. Peter had congenital deafness (no, nothing to do with the band volume). For approximately the last ten years, he played “deaf”. He could hear the bass and drums, and followed the charts as need be. That sort of challenge can only be overcome by Peter Ian McCutcheon, of blessed memory. I thought I’d seen just about everything, but this just goes from the sublime to the ridiculous. 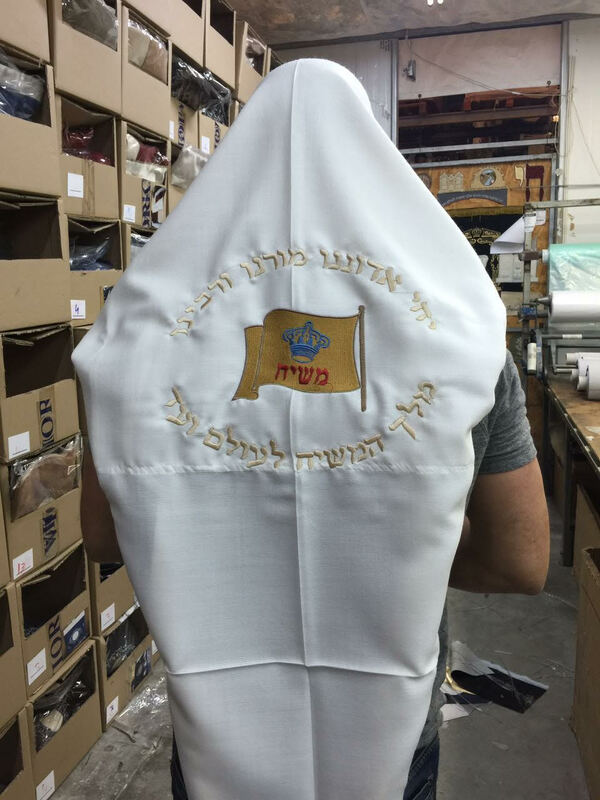 Oh, and if you are wondering whether I’d call out a Tallis that had a Magen Dovid or something woven in the same way on the back, I would do so, if the purpose wasn’t decorative. In my opinion, and I know this is shared by others in the main Yeshivah Shule in Melbourne, the sign up the back has passed its use by date. Indeed, I heard Rabbi Telsner last week in a speech refer to the Lubavitcher Rebbe as Nishmoso Eden נ׳׳ע … given he is a Meshichist, my ears were sensitised. 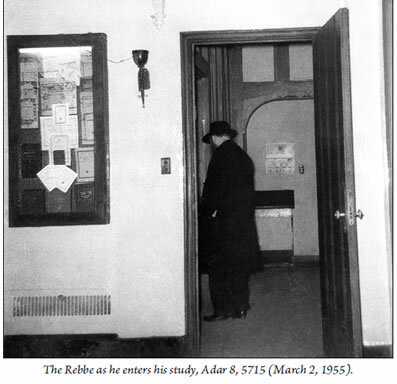 The final decision rests with Rabbi Chaim Tzvi Groner in my opinion, and it’s time the Shule was normalised to look like Shules always looked, without placards etc. On my sole visit to 770, I didn’t go downstairs because that Minyan, the main minyan, is just surrounded by placards. Chabad agonise about putting a Tefilla on a wall as it’s not considered Minhag Chabad. Enough of this. If he turns out to be Moshiach, it doesn’t bother me. If it turns out that he’s not, then it doesn’t bother me. In the meanwhile can we give all this constant advertising and chanting a rest? If someone really feels that removing these things is tantamount to a cutting off of their Hiskashrus (connection) to the Rebbe and/or not recognising him as their Manhig, I’d suggest that they concentrate on being a proper Chassid and not being part of all this Chitzoniyus (external stuff) which you are more likely to find in the non-Jewish world, or on bill boards daily in Meah Shearim. Move on. Bring Moshiach, but move on. Author pitputimPosted on August 4, 2015 Categories Nostalgia, UncategorizedTags Balbin, Birth, Rav Abaranok, Talya Bassin, Zalman Bassin8 Comments on It’s a girl! This is hilarious. Mind you I’d eat them all except I’m no fan of yerushalmi kigel… sweet things don’t work with a schnapps. A few weeks after the first Yohr Tzeit of אבי מורי ז’ל R’ Shaul Zelig HaCohen Balbin, two of our daughters were married ב’’ה. It is a custom in Melbourne, probably emanating from the מצווה of הכרת הטוב that both Mechutonim say a few words between meals or dance sets. 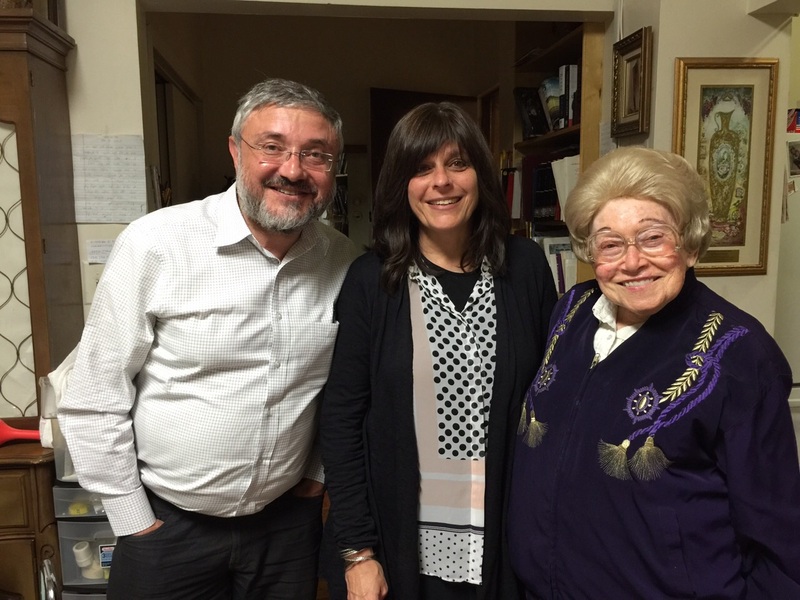 I spoke after my Mechutan, Rabbi Yossy Goldman of Sydenham Shule in Johannesburg. 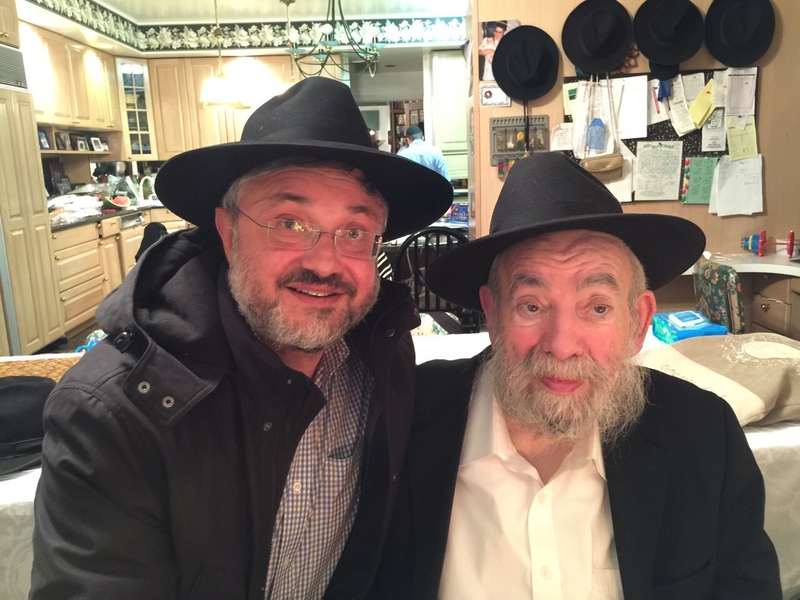 I was most conscious of the fact that my father had descended this world to be at the Simcha. 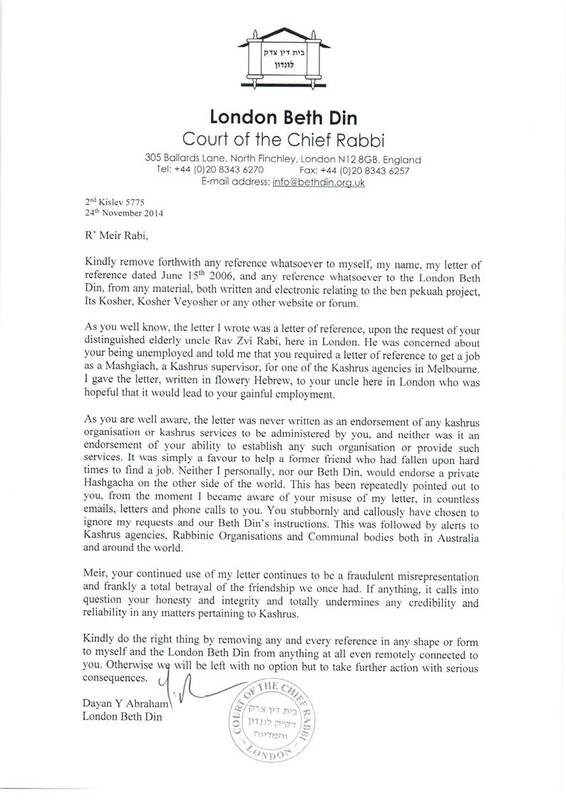 Accordingly, I decided to begin my speech with the Niggun he taught the family and which he often sang at the Shabbos table. My daughters and sisters are visible at stages in various stages of emotion on the video. I haven’t heard it sung anywhere. After I finished my speech many people said I should record it “properly” and put it up on iTunes or similar. I admit I hadn’t even thought of that. When I mentioned this to my friend HaRav HaGaon R’ Shraga Feitel HaLevi Levin, he suggested I do not do so. His view was to leave it כמות שהוא as it was. He felt I was in a state of “communion” with my father ע’’ה and that this should not be altered and presented as is. It’s a year later now, and I agree with Feitel, and below is the niggun, as it was sung on the night by me. If anyone has heard it before or knows its origins, I would be very much indebted. Rawa is in Congress Poland. Please note: there will be no comments on this post. I am not a member of Mizrachi. I used to be, about three decades ago, and my Rav was the saintly Rav Boruch Abaranok ז’’ל. 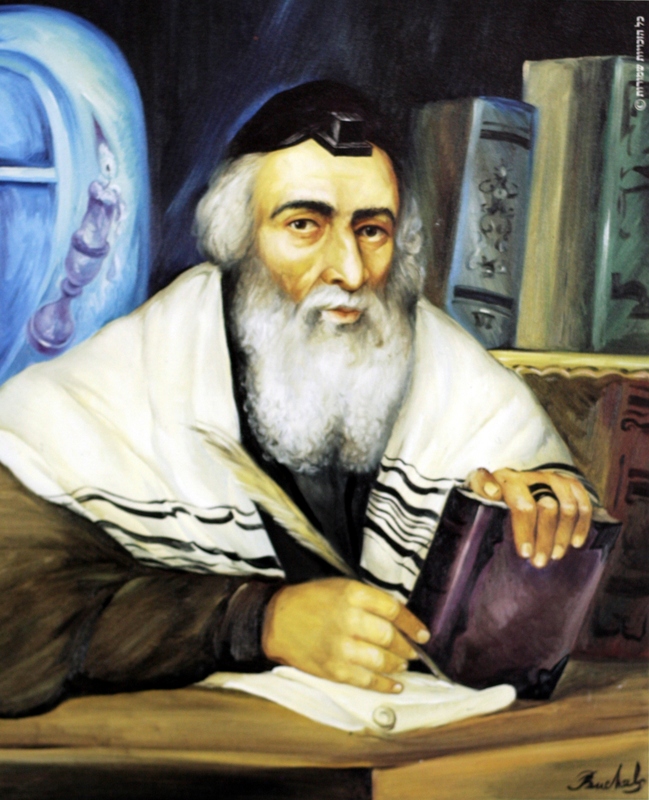 Rav Abaranok was a Tzadik Gamur. He wasn’t a Beinoni. He was the real thing. He received his Smicha from the Chafetz Chaim and was friendly with Rav Elchonon Wasserman הי’’ד. 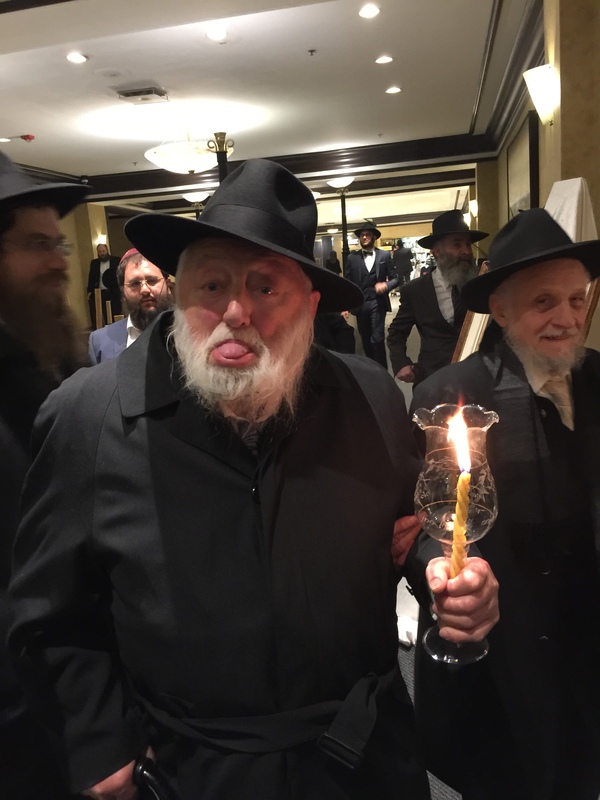 He didn’t wear a Kippa Sruga (knitted yarmulka) and wore a dark suit and homburg hat. He wasn’t a great orator, but his words in a one on one situation, penetrated the heart more than any orator could achieve. He was also a staunch zionist, and supported the State of Israel in a genuine fashion. I have written about him here. When he paskened, he would subsequently invite you to come the next day or that night, to his office or home, and have all the Seforim open and prepared, and would explain from inside how he had come to his Psak Din. Our son, Tzvi Yehuda, now famous for his incredible and successful chasing kosher side venture, was fortunate to have Rav Abaranok as his Sandek. I remember being flabbergasted when he arrived at the door for both the Bris and subsequent Upsherin, each time carrying a gift of Seforim. Our younger son, Yosef Dov who is learning in Israel presently, was also lucky to get a set of Seforim from Rav Abaranok ז’ל. 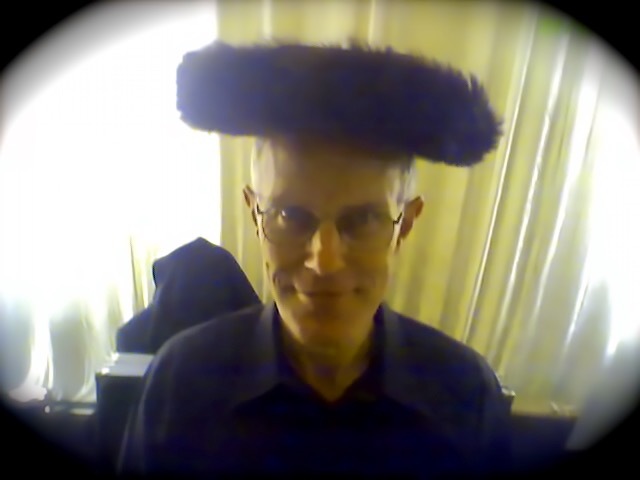 On Shabbos he wore a black litvishe kapote much like the dress of the Ashkenazi Chief Rabbis of Israel. I used to bring our children (two back then) to Rav Abaranok almost every Sunday morning. His children and grandchildren were all overseas, and his wife nebach, was with him but not 100% due to her horrid experience in the Holocaust. Rav Abaranok became very sick after a fall (as I recall). I had a strange sense that he was about to leave this world. It was too difficult for me to absorb emotionally, so I started visiting less often. He would ask me, if he saw me, “Yitzchok, what did I do. Why don’t you come anymore?”. He never realised that I couldn’t cope with seeing him slip away. On his first Yohr Tzeit, I went and stood outside his house (which is no longer there) and just cried. That Rabbi was replaced by the recently deceased and well-known, Rabbi J. Simcha Cohen ז’ל. Many members of our family still daven at Mizrachi and my brother-in-law is now the President. I was fortunate to have occasions to interact with him. My interactions were always of a Torah/Halachic nature and I enjoyed speaking “in learning” with him. He had a pleasant disposition and was a professional American style Rabbi with lots of grandeur. Rabbi Cohen eventually left (I believe of his own accord, but I can’t recall), and was replaced by Rabbi Sprung. Rabbi Sprung will complete 10 years of Rabonus at Mizrachi in August. I went to his home every Purim (even though he stopped serving scotch after the first year :-), and we shared divrei torah and halachic discussions. On one occasion, when there was an injustice in the community, he was the Rabbi who was prepared to stand up, by ringing overseas, properly ascertaining facts, when he could easily have avoided the issue. He made a difference. My wife loved his Shabbos Shiurim, and went every Shabbos to hear these. She said that he put so much preparation into each Shiur. He seemed to always be giving Shiurim. He went from minyan to minyan at Mizrachi and gave droshos. 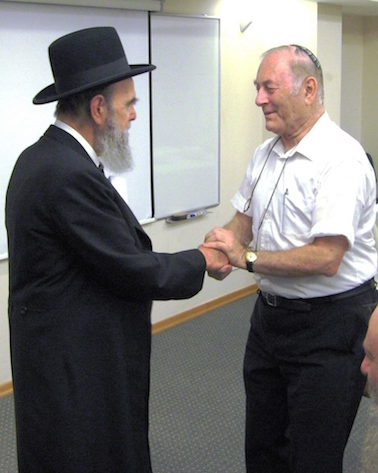 He enjoyed good relationships with the Roshei Kollel of Mizrachi’s Kollel and other Rabbinic staff. His pastoral support was incredible. He would visit the sick, comfort the mourner or the forlorn, and his door was open. Recently, one post was perhaps too revealing about my state of mind. He doesn’t read blogs, but someone had mentioned it to him. On the next morning, I got a phone call wherein he expressed concern for me, and stressed that whenever I needed or wanted to discuss anything with him, to do so, and that his door was always open. My father ע’’ה was in hospital several times. Rabbi Sprung always visited him amongst many others. 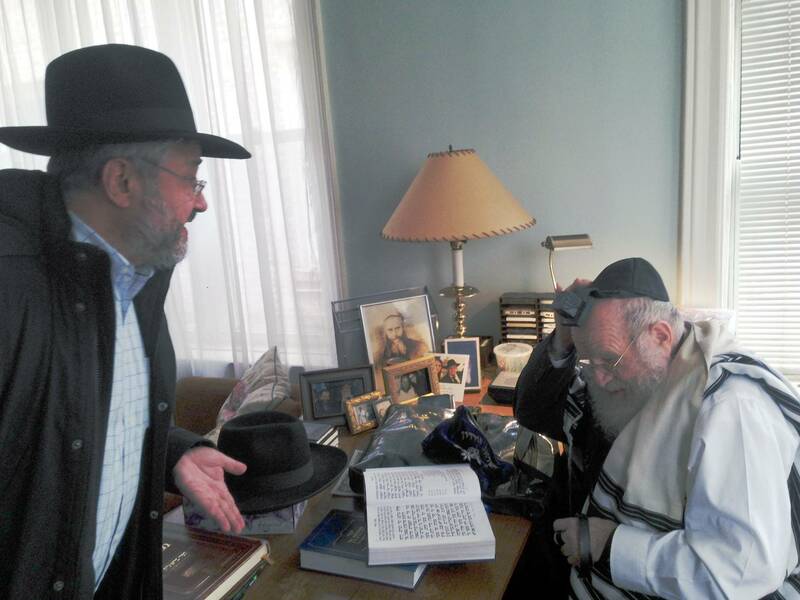 I know my father greatly appreciated Rabbi Sprung’s visits. He was in fact the only Rabbi to visit him. On Simchos (Smachot if you want to use Ivrit) he would meticulously prepare by interviewing everyone, and then weave a wonderful Drosha where he paid tribute to the attributes of the Ba’alei Simcha and their families. I heard such Droshas many a time. We invited him and his Rebbetzin to our own Simchos, as I considered him a Choshuve Rav with whom I had developed a relationship. Mizrachi is not like other Kehillos. There are a lot of “leaders” of other organisations who are highly opinionated who daven there as well as many highly educated professionals and “machers”. Rabbi Sprung’s fidelity to Halacha was unquestionable. He wasn’t afraid to state his firm halachic view on a range of issues, including those who led services at the conservadox Shira Chadasha (an identical view with which Mori V’Rabbi Rav Hershel Schachter agrees). These types of issues may have made him be seen as too “right-wing”, but I can’t know that with certainty. I can only describe my interaction. Perhaps Mizrachi will now employ a hatless, Kipa Sruga type. Time will tell. Towards the end of his Rabbonus contract in August, Mizrachi decided that it would only extend the contract after a democratic vote of all members. I can’t recall whether they had a democratic vote to appoint him, but I do recall there were a few candidates. One can surmise that after 10 years in the role, some no longer appreciated what he offered. 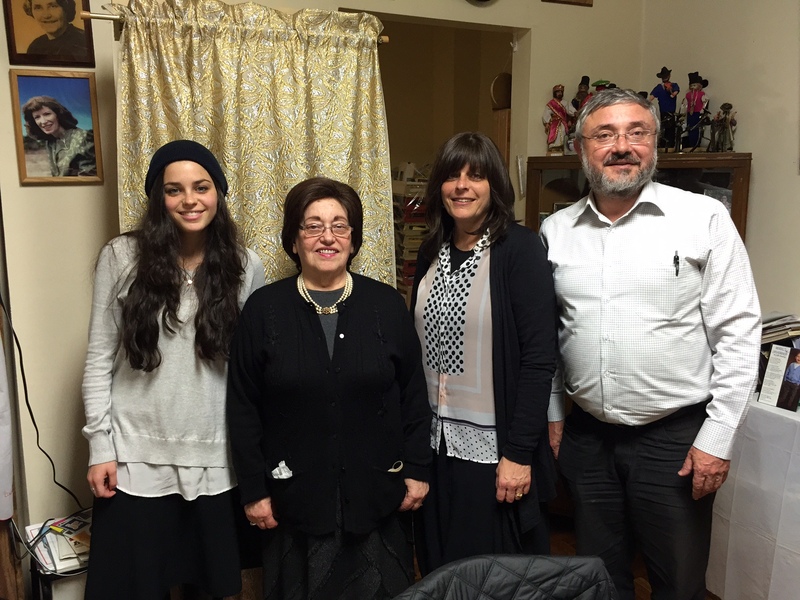 I am sad to see Rabbi Sprung’s tenure at Mizrachi Melbourne come to an end. Knowing him, he will see it as Hashgocho (divine providence) and depart as gracefully as when he arrived. I know he was widely respected by the Melbourne Rabbinate, and he avoided politics when possible. I’m guessing Rebbetzin Naomi Sprung may feel somewhat blessed that she has an opportunity to relocate to an area closer to her children and grandchildren. Melbourne, isn’t exactly close by, and to be dislocated from family would be a strain for anyone. 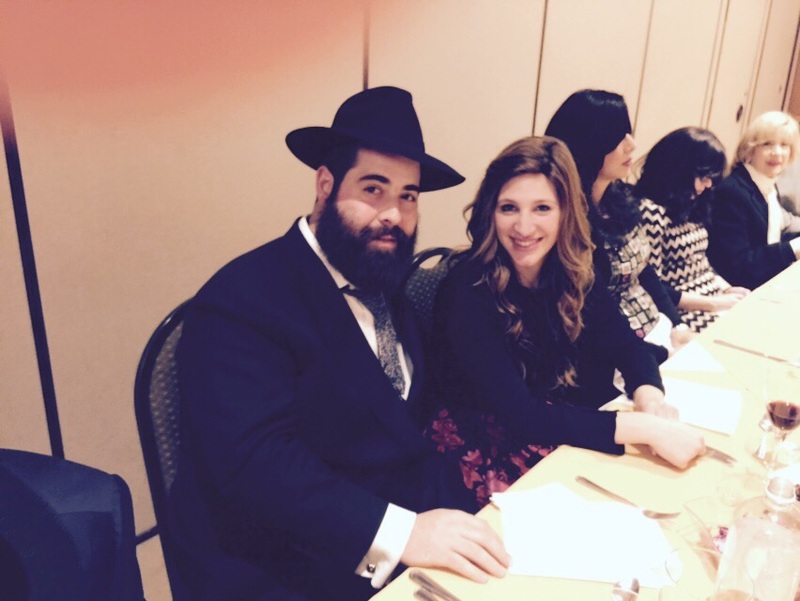 I wish Rabbi and Rebbetzin Sprung immediate future success, together with lots of Nachas and joy. We now wait to see who the (democratically elected?) new Rabbi will be.